My good friend CHRIS READ has been hard at work (as usual) on the mixing desk knocking out two essential mix CDs both released through BBE RECORDS last month. If like myself you have had his BBE RECORDS 15th ANNIVERSARY mix on heavy rotation since it dropped last year, then no doubt you will enjoy these next two mixes just as much if not more. 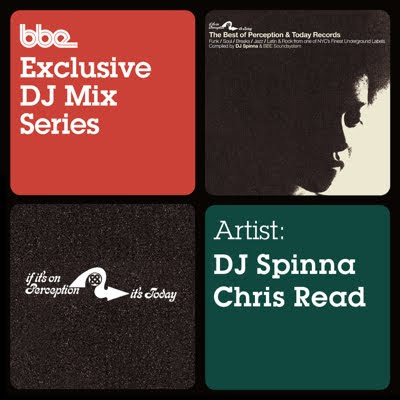 CHRIS certainly has great taste in music, but he also knows what to do with a dope beat when it comes to creating a mix, so when he teamed up with fellow record connoisseur DJ SPINNA to compile and mix the best of PERCEPTION and TODAY RECORDS, I knew we were in for a musical treat from start to finish. I myself am a big fan of the PERCEPTION label, and so are many Hip Hop producers as their catalogue has been sampled by so many including SHOWBIZ & AG, THE BEATNUTS, GHOSTFACE, Q-TIP and MADLIB. Personal favourites on the label include WANDA ROBINSON, J.J. JACKSON, FATBACK BAND, JAMES MOODY. Even if you are not a particular fan of the label, you will no doubt recognise many of the tracks on this mix if not the samples used. (In fact CHRIS uses one of my all time favourite records JOE THOMAS "Chitlins and Cuchifritos" on this mix). So if you are looking for a high quality Summer mix to stick on repeat throughout the heat then this will definitely satisfy your musical needs. "Unlike many of the compilations to have emerged from the BBE stable, this release is less about unearthing rare or unheard music and more about shining a light on a sound that has been developing in its own small corner of the musical spectrum over the last decade or so. 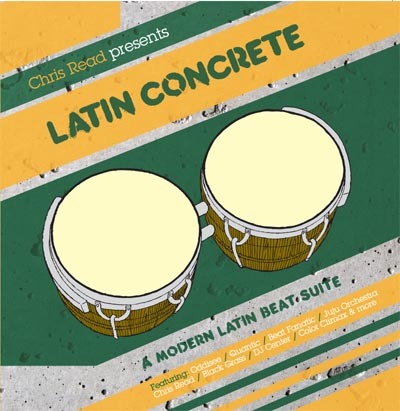 I approach this compilation, not as someone who grew up around Latin influenced music or with any lengthy history of involvement in it, but as a DJ and music fan who grew up listening to the early sample based music of the late 80s and early 90s has, ever since, set about exploring the many directions that music has travelled in. The music which appears on this compilation is the product of just one of those many avenues. 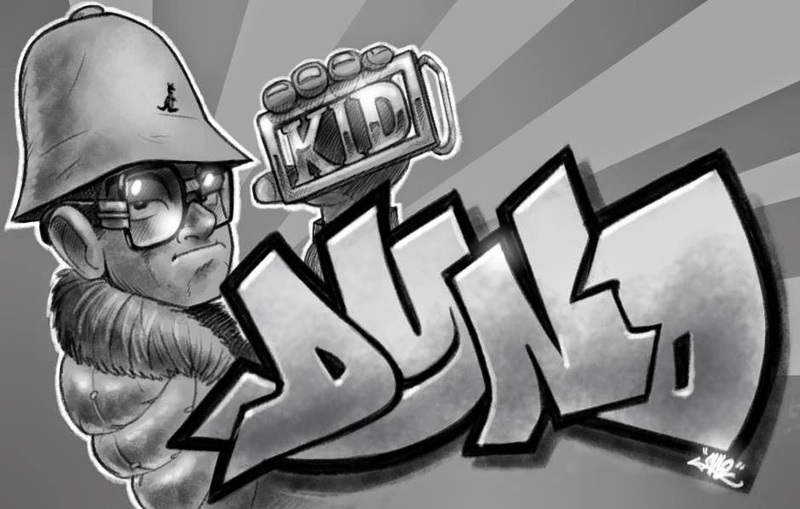 The tracks featured here come from a variety of sources but in many cases are the product of a generation of DJs and producers who similarly grew up listening to the sample rich hip hop, house and more of the 80s and 90s and have taken that influence and applied it to a particular sound, in this case the varied musical styles of the Latin Diaspora. 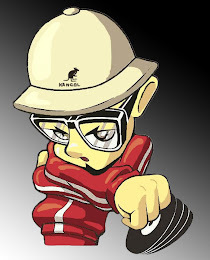 This is modern Latin music from a DJ's perspective - rhythm heavy, beat driven and infectious." I just listened to the album and it's amazing! Feel good music! I bought the whole album!! Can't wait to work these tracks into my mixes!! thank you for this post!! hey DJ Simple, that's exactly why I shared this mix cuz the selection is incredible plus some dope doubles in the mix too. I'm pleased to put you up on some new music my friend.